Over the past several months, we’ve worked hard to crystallize our mission at DroneBase: we're here to give our pilots more reasons to fly their drones, whether they’re professional users or newly-declared hobbyists. We’ve built a product that already offers flight opportunities for a wide range of pilots: Client Missions for our full-time users and more “flexible” options for our part-timers: Pano and Creative Missions, which are paid out on a royalty basis and provide pilots with an opportunity to fine-tune their flying skills. Today, we’re excited to share with you our most revolutionary product addition yet. AirCraft (Beta): your new home for Augmented Reality. Our Augmented Reality platform is the first of it’s kind to expand an “open world” format into the sky. 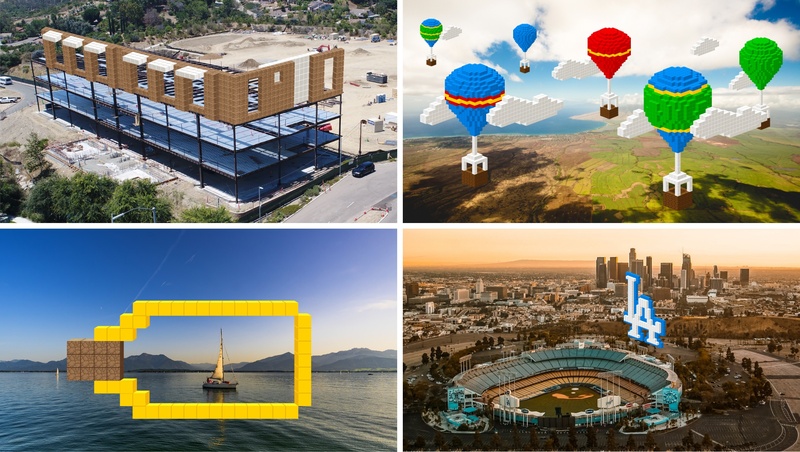 With AirCraft (Beta), you can use your drone to build anything you imagine in open airspace, ranging from your most creative ideas (like race courses & giant works of art) to more practical, commercial uses (like waypoints in the sky for Client Missions). This open world format allows pilots to constantly iterate on their surroundings. For example, you might take your drone to a park to find that there are other creations already built, or launch your drone in your neighborhood next week to find new things that weren't there before. You can even add onto other peoples' creations: build a dragon next to your friend's castle, or add more obstacles to their racecourse, for example. We’re equally excited for the commercial applications AirCraft (Beta) brings to the table, too. In the future, AirCraft (Beta)'s augmented reality may be used to create waypoints and logos in the sky, construct artificial renderings of buildings, and more. We’re excited for you to begin building with AirCraft! Ready to start building? Learn more by visiting www.dronebase.com/ar, and join the thousands of drone pilots on our platform and see how rewarding drone flight can be. In the coming weeks, we’ll show you more about the AirCraft(Beta) creation process and our favorite buildings to date. Stay tuned for upcoming developments, and be sure to download our new Pilot App today to start flying!